Chlorella, fresh water algae containing high levels of chlorophyll, is used to aide in the treatment of many health conditions. Possible health benefits range from reducing body fat and increasing energy, to aiding in digestion, helping to fight obesity and reducing the risk of heart disease. Chlorella supplements are found in health food stores and are available in tablets, powders and liquid extracts. Chlorella should not be used in place of conventional medicine. Discovered in the 19th century after World War II, chlorella began to be studied as a possible food source, due to its nutritional components. Since the 1960s, the Japanese have been studying the proposed health benefits of chlorella. Growing in large quantities in South East Asia and Australia, chlorella is gathered, dried and crushed into a paste, which is formed into tablets. According to Dr. Andrew Weil, research is lacking on the long-term effects of using chlorella and there is little evidence supporting the need for blue-green algae in our diets. Chlorella is packed with plant-based protein, vitamins, minerals, essential fatty acids and amino acids. Chlorella contains the antioxidants vitamin C and carotenoids, and high concentrations of B vitamins, notes the American Cancer Society. The high levels of chlorophyll offer the body magnesium and iron. Manufacturers of chlorella supplements claim that the chlorophyll found in chlorella can aide in removing toxins from the body and may improve symptoms of anemia. Chlorella may stimulate the growth of healthy intestinal flora, aiding in digestion, preventing constipation and reducing symptoms of chronic illnesses including diverticulosis and Crohn&rsquo;s disease. However, clinical research has not definitively proven these claims. According to the American Cancer Society, chlorella may have some anti-cancer properties and could possibly slow the growth of cancer cells. 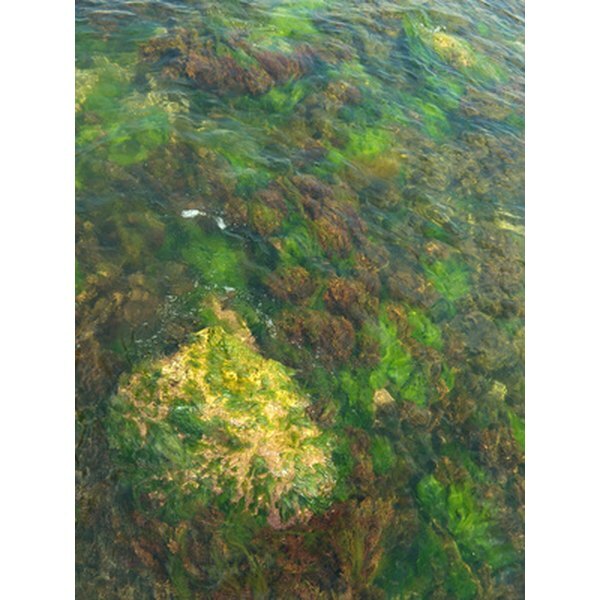 A study conducted by Medical College of Virginia in Virginia researched the ability of chlorella to reduce signs and symptoms of chronic illness and improve quality of life in patients with fibromyalgia, hypertension and ulcerative colitis. The study, published in 2001, reported that chlorella may reduce blood pressure, accelerate wound healing, lower cholesterol and enhance immune function. However, additional clinical research is needed to further define the possible healing benefits of chlorella. A different study conducted by the Research Laboratories, Chlorella Industry Co. Ltd. in Japan, tested the effects of chlorella on cognitive decline and aging in mice. The study, published in 2009, suggests that prolonged use of chlorella reduces oxidative stress and may slow the aging process, aiding in preventing cognitive impairment. Chlorella is safe for most people to take. People taking anticoagulants should not take chlorella due to the vitamin K1 content, which aides in blood clotting. Many of the proposed health benefits of chlorella have not been proven. Those considering adding chlorella supplements to their diets should speak with a doctor or trained professional beforehand.